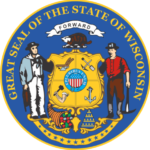 In the fight against opioid addiction, agile development is helping ensure that Wisconsin’s new Enhanced Prescription Drug Monitoring Program (ePDMP) is both effective and completed on schedule, according to StateScoop. As agencies across America battle the opioid epidemic, states like Wisconsin are demanding technology solutions that can be deployed quickly and that are relevant to users. Agile and iterative methods are helping provide this. The platform’s metrics show that the state is making some headway against its opioid epidemic as the number of prescriptions and drug doses decline. Nicole Randol, general manager for Wisconsin Interactive Network, the state’s NIC affiliate, said agile has proved an “instrumental” tool to ensure all of their projects, including the ePDMP, stay on track.